Synopsis: The time was 1968. The place was Montgomery, Alabama. Dr. Martin Luther King, Jr. and Sen. Bobby Kennedy had been assassinated. War was raging in Vietnam. And war was raging on the playground of the all-white Wyatt Elementary School. Schoolyard bullies teased sixth grader Lisa Parker because of the way her nose looked. Lisa would often develop a stomachache and check out of school to escape the bullies. Until sixth grade teacher Miss Annie Loomis came to Wyatt. Miss Loomis just happened to be the first African American at Wyatt, and Lisa loved her English class. Now, when the bullies teased Lisa, she would stay in school so that she could be in Miss Loomis’ class. Yet something terrible happened that would change Lisa and Miss Loomis forever. Racism reared its ugly head at Wyatt, and now Lisa was not the only victim of the bullies’ teasing. Would Miss Loomis endure the bullies’ racist taunts? 1. Colorblind is based off your sixth grade experience when your school became integrated. 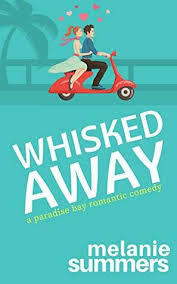 How much of this novel depicts your actual experience? This novel depicts half of my actual experience and half of fictionalization for dramatic effect. For example, there was an actual spelling bee at my school, but Miss Loomis’ reaction thereto was exaggerated for dramatic effect. 2. You were inspired by Harper Lee’s To Kill a Mockingbird. How did this novel influence your writing? This novel inspired me to write about racism from the point of view of a Caucasian Southern girl. 3. How much research, if any, did you dedicate to the novel? I researched the dates of Dr. King and Sen. Kennedy’s assassinations as well as the date of the Apollo moon launch. 4. How would you describe the characters Ms. Loomis and Lisa Parker apart from their physical appearances? Miss Loomis and Lisa Parker were both scared individuals who were bullied by two boys at school. Lisa was also browbeat by her mother while Miss Loomis was browbeat by Rev. Reed. Both characters had yet to realize their inner strengths. Lisa would grow to recognize her inner strength while Miss Loomis would fall prey to the bullying and quit teaching at Lisa’s school. 5. What role do you think skin color and birth defects play in society today? Skin color and birth defects both define our individuality and discriminate based upon these genetic differences. Are they as relevant as they were back in 1968? Yes. Unfortunately, people still discriminate against others based upon skin color and birth defects. I prefer the phrase “physically challenged” to that of “birth defects.” The latter phrase implies that the person is somehow less than a complete human being. 6. How did you develop the characterization for the bullies? I used the physical descriptions of my actual schoolyard bullies for the two bullies in Colorblind. 7. How did you develop the resolution for the novel? I took what actually happened after my spelling bee—my African American teacher quit teaching school—and changed it by having her teach HeadStart children to demonstrate her resilience in the face of discrimination. 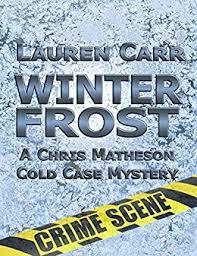 Yet her resilience is short-lived because she dies at the end of the book, an aspect of the book which I fictionalized for dramatic effect. 8. What was the most rewarding moment you experienced in writing Colorblind? My most rewarding moment was re-living my bicycle ride with my brother to Katie’s candy store—this happy event actually happened many times during my childhood. 9. What was the biggest challenge you faced writing Colorblind? My biggest challenge was being a Caucasian Southern woman writing about an African American Southern woman. I developed a “second skin” which enabled me to write as Miss Loomis, Lisa’s African American sixth grade teacher. 10. 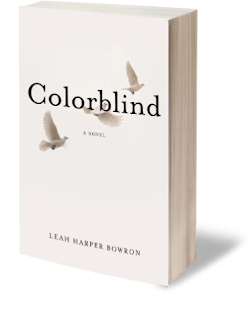 What do you hope readers will gain from Colorblind? I hope that my readers will gain insight into the evils of discrimination based upon skin color or physical challenge. I hope my readers will also realize that discrimination is an ongoing problem which requires vigilance not only in 1968 but also today. 11. 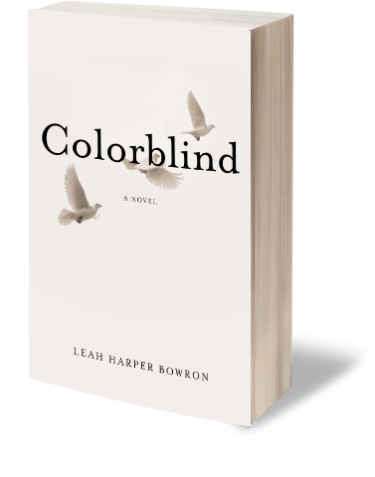 What did you gain from writing Colorblind? I gained cathartic healing from writing Colorblind as I relived my childhood bullying. 12. Do you have anything else in the works? Yes, I am writing a nonfiction book on a code which permeates the writings of James Joyce. 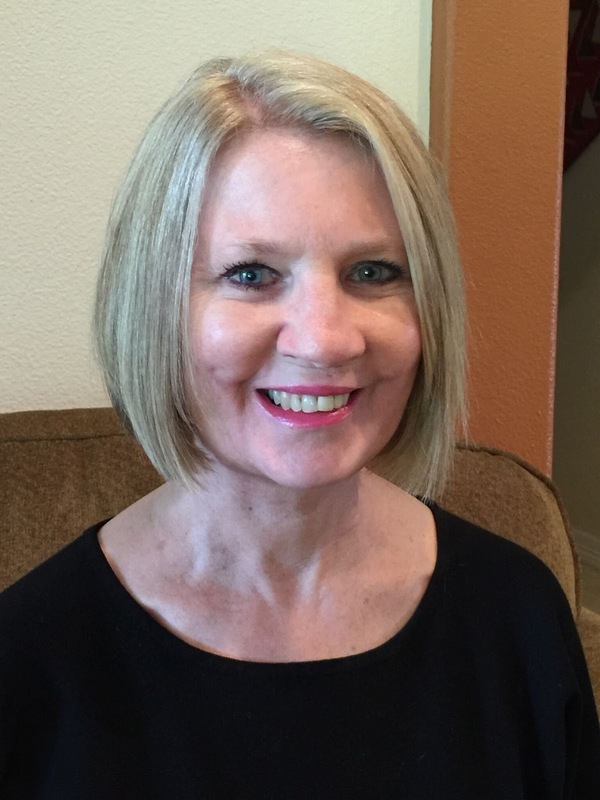 Leah Harper Bowron is a lawyer and James Joyce scholar from Birmingham, Alabama. Her article “Coming of Age in Alabama: Ex parte Devine Abolishes the Tender Years Presumption” was published in the Alabama Law Review. She recently lectured on Joyce’s novel Ulysses at the University of London and the Universite de Reims. She lives in Texas and has a daughter named Sarah and a cat named Jamie.